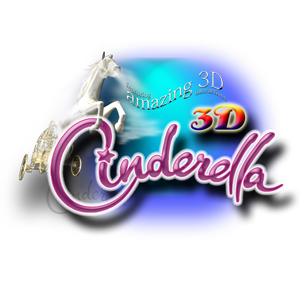 Amazing Interactives presents the revolutionary new 3D Sensory Pain Distraction System. 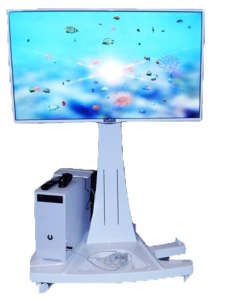 An amazing range of interactive sensory systems designed to distract patients during painful treatments. This highly pleasant solution offers calming relaxation and pleasurable distraction via a number of passive and interactive devices. 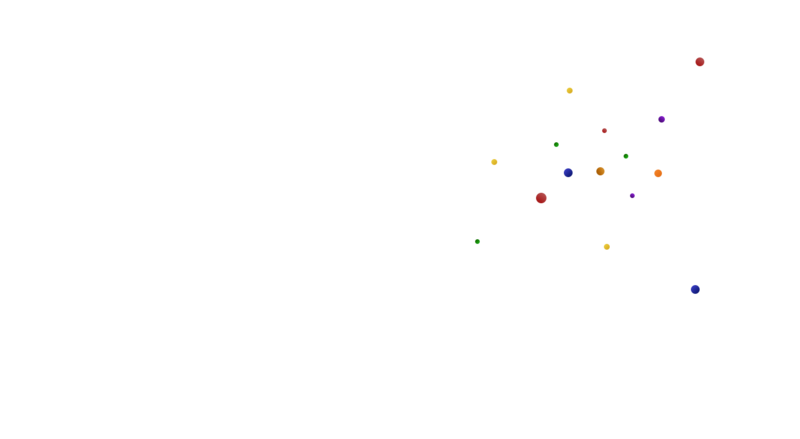 Amazing Interactives are specialist developers of ‘Interactive 3D’ software for the medical market. 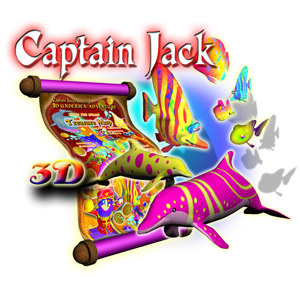 The 3D system has over 30 tailor made 3D software packages which provide varying levels of distraction, for children of all ages and gender, the interactive software provides distraction, engagement, and also hand and eye coordination. The 3D V-pod pain distraction system comes with a wonderful range of packages designed to distract children from pain during treatment and procedures. 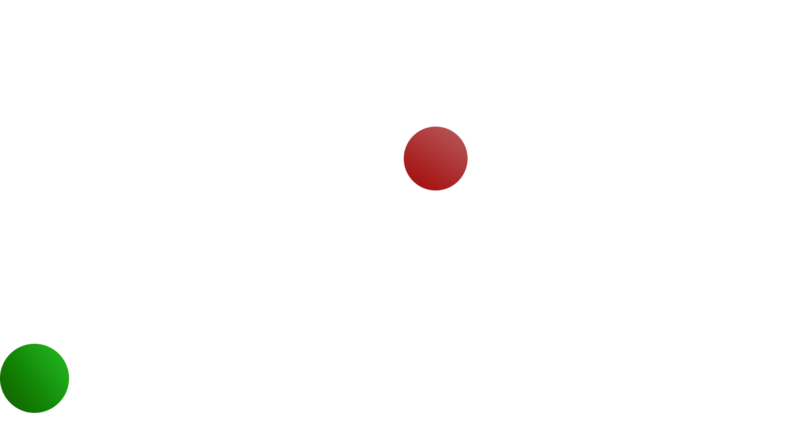 Please click here for a Clinical Psychology Review of the effectiveness of virtual reality distraction for pain reduction. In areas of mental trauma the interactive 3D V-pod system is linked to the pulse rate of the patient via an pulse oximeter. This allows both the patient and the specialist to actually see what causes anxiety levels to increase/decrease in real-time 3D. Specialists can then teach the patient how to control anxiety using breathing techniques and conversation combined with the 3D V-pod system. Interactive 3D linked to exercise equipment. The powerful visual medium gains the users attention so that specialists can discuss and deliver elements of treatment while the patient is focused and their mind is engaged. This highly pleasant solution offers calming relaxation and pleasurable distraction via a number of passive and interactive devices. It’s available as a portable system, or a fixed system ideal for Treatment rooms. 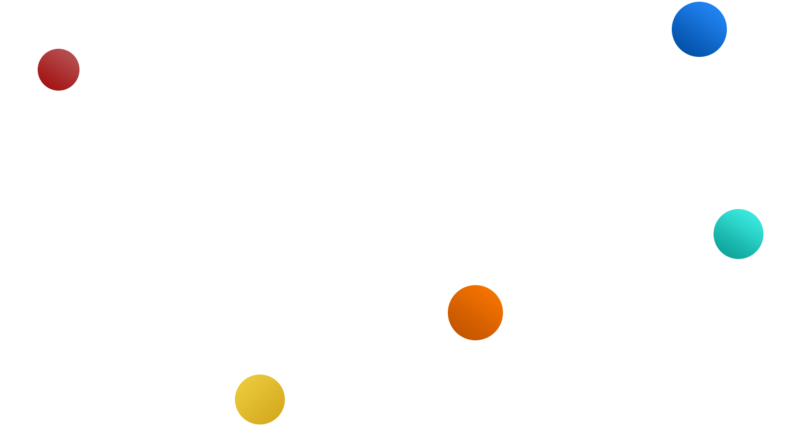 Screens are available at 37″, 42″ and 47″. 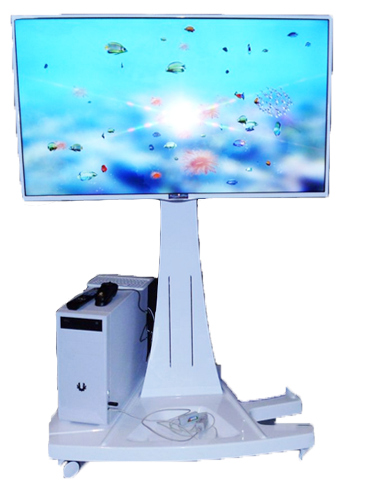 A convenient & attractive interactive 3D system designed to be moved to any area of the hospital. A highly attractive ceiling mounted unit and touch screen unit. The 3D Vpod comes with a range of accessories to enhance the sensory experience. Linked to the pulse oximeter, patients and staff can visualise trauma triggers and learn how to manage them. The interactive modes allow further distraction from painful procedures. The Gyro allows patients to release effects and then control where they float and what they do. Patients can make things happen by voice control, hand control or simply blow into the sensor. 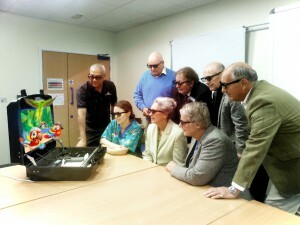 All of our systems come with 3D glasses for the patient to get the most out of the interactive software. How do I buy replacements for my accessories? How do I connect the Gyro-Mouse to the system? 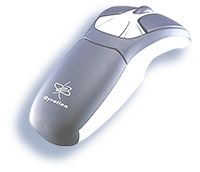 The gyro mouse works with the USB Dongle, which is inserted into the PC, they are both sync together. If the gyro mouse requires a re-sync then press both buttons on the mouse and dongle, this will sync them together. Will I be informed when new Software Packages are available? When new software is released the clients will be notified, there is an option to then buy these packages. What if I have a technical problem with my 3D V-pod? Do you provide a Warranty with the Vpod and what does it cover? Yes, the hardware is warrantied for 3 years. This includes the PC, 3D Screen and the Mobile System. The software has an under warranty for life under Amazing Interactives Ltd. You are also able to extended your warranty for a further 2 years at a cost of £1000. The warranty will not cover accidental damage or theft of the system or its accessories. How is the 3D V-pod system installed? Amazing Interactives will carry out the installation of any fixed system, minimum height requirements for a 47 inch screen system is 1.65m ceiling, we will carry out a survey prior to installation. What are the screen options for the 3D Vpod? The 3D V-pod comes as a fixed unit, or portable unit and the screen sizes available are: 32, 42 and 47 inches. 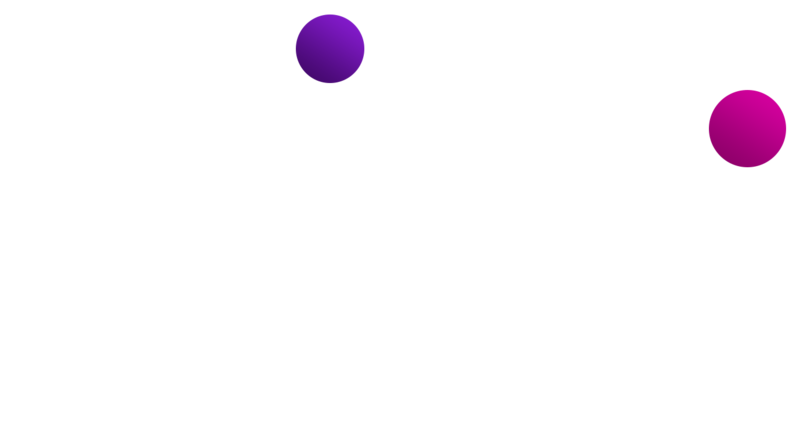 The system can also be used in 2D, if required. 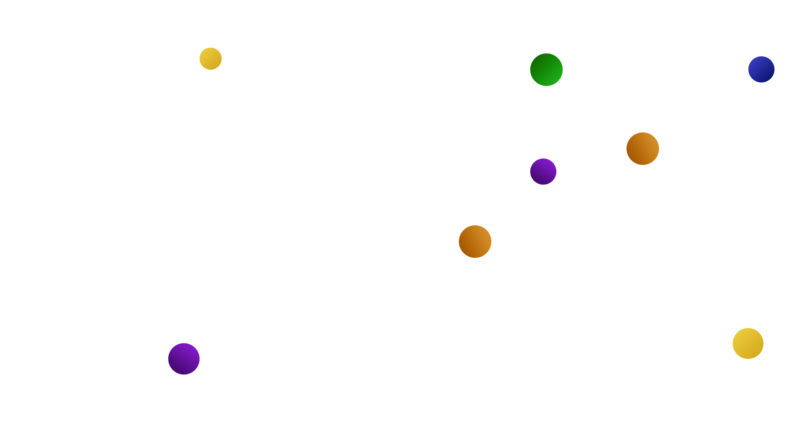 What is the Fundraising System? How do I arrange a demonstration or trial of the 3D V-pod? 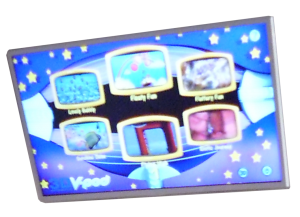 Amazing Interactives offer a demonstration of the 3D V-pod or we can supply a 3D V-pod for a trial period of 2 weeks . To arrange this please contact Sales on 0044(0)1642 226693 or p.jethwa@amazing-int.com. Does the V-pod comply with Infection Control procedures? The 3D V-pod has been designed and passed a rigorous infection control protocol, the system can be wiped clean using non-alcohol wipes. 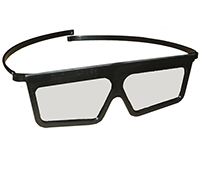 The 3D Glasses can be wiped clean with non-alcoholic wipes and reused. What power supply is required for the 3D V-pod system? The 3D V-pod system works off a 240V supply. How long will it take to deliver my 3D V-pod? Developed in conjunction with specialists in child rehabilitation, our 3D Rehabilitation system is designed to encourage children to exercise. 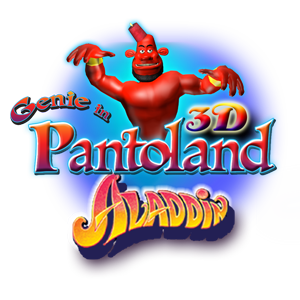 A 4 x 3 metre interactive 3D screen with software offering over 100 interactive body movements, two 3D superhero characters, music and aerobics fun. This unique interactive 3D system uses fully motion captured body movements and a body tracking system to allow users to interact with the 3D characters. 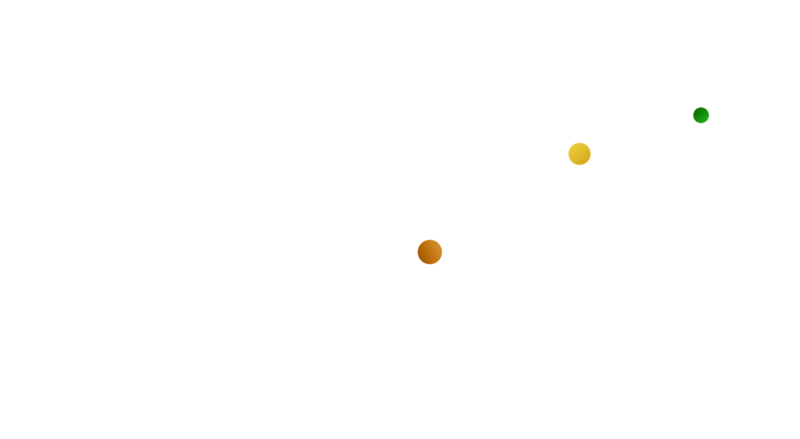 All of our packages come with a range of 3D distraction challenges and relaxation sequences. Each of the 3D Sensory Packages is designed to offer a different kind of distraction. The beach ball, for example, is just one of many sporting items that float our ‘on command’. This display is to encourage conversation between the staff and the patient. The floating animals in baskets is a wonderful, mesmerising and relaxing fantasy for young ones. The icy balloons is designed to help the patient feel cool and rakes them on a fantasy journey through snowy worlds. Kasey Castro, BS, Child Life Specialist, works on the pediatric oncology/hematology unit. Kasey serves on the Executive Board of the Florida Association of Child Life Professionals as Member at Large. Caitlin Harrison, BS, Child Life Specialist, works on the general pediatric unit. Caitlin serves on the Planning Committee for the Florida Association of Child Life Professionals. Laura Cornelius, MM, MT-BC, created the Music Therapy program through a grant. Due to her talent and creativity, Laura is now a tenured member of the staff. Laura is a NICU certified Music Therapist and has recently become International Neurologic Music Therapy Certified. In her spare time, Laura and her dog Chewy are certified Pet Assisted Therapists. Ann Fogel, MA, Child Life Coordinator, has been a CCLS since 1982. She has been a Mentor in the Leadership Development Institute sponsored by the CLC through a grant from Disney this past winter. Happily married for almost 30 years, she is the proud mother of 12 year old Hope. 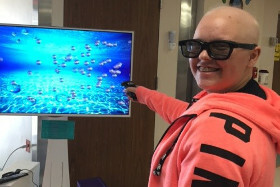 The newest technology at Chris Evert Children’s Hospital (CECH) is the Pediatric Virtual Distraction System (V-Pod) used to help children cope with painful and threatening treatments. 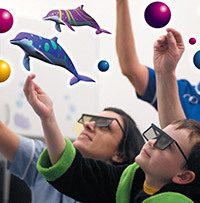 This 3- dimensional video game, guided imagery, play provoking opportunity decreases anxiety and perceived pain in children, reducing the need for extended or repeat procedures or sedation. Procedures and/or treatments that the V-pod distraction system is used for in treatment rooms as well as at a patient’s bedside include venipunctures, lumbar punctures and bone marrow aspirations. As you know all too well, children in the hospital often have to undergo painful and scary treatments and procedures. The anticipation of these treatments is often stressful for the child compounded by physical pain associated with these common procedures. If the pain level is too high, or the child becomes too anxious, they may become non-compliant or uncooperative, causing treatments to be rescheduled or duplicated if unable to be completed. This creates additional stress on the child, those that care for them and the medical team. This additional anxiety is heightened as they anticipate another miserable experience. In addition, medications used to alleviate pain may have adverse side effects or negative reactions in children. There is a need to utilize play in all forms, promoting non-invasive, non-pharmaceutical methodologies alleviating pain and anxiety during procedures of all varieties. We are proud to add the V-Pod distraction system to our menu of coping strategies alongside Music Therapy, Pet Assisted Therapy, Expressive Arts and Child Life Therapy interventions to benefit our pediatric patients. 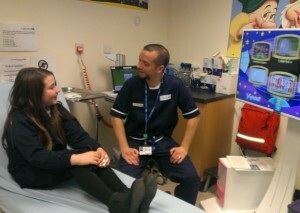 WEARSIDE’S youngsters need not fear a trip to A&E after a new system to distract them from painful treatment was installed at Sunderland Royal Hospital. Following fund-raising from the Children’s Foundation, the 3D Vpod Pain Distraction Unit is now available to use. The unit has been used in a trial at The Royal for the past couple of months after being well received by families. According to Government child health figures, Sunderland has more than double the number of A&E attendees in the zero to four age range compared to the national average. St Benet’s school pupil Jessica Summerside, 10, was brought in by her dad Paul following an accident in a pizza shop. “She just banged her hand on the pizza shop counter and injured her middle finger,” said Paul, 51, of Roker. “Nothing’s broken and she just needed a splint, but it can be really stressful for the child and parent to go “I didn’t know about the distraction unit, it’s fantastic. Pauline Palmer, paediatric matron at the Royal, said: “Our staff on Accident and Emergency have found it very useful, especially during painful procedures like cannulation and it has been well received by the children. Chief executive of the Children’s Foundation, Peregrine Solly, said: “Our programme of fund-raising for these units is now in its third year and we’re in discussions with the NHS so that they can become used in more hospitals. The hospital is now hoping to install three further units, another two in the children’s in-patient wards and three for the Niall Quinn Centre, which is just off Kayll Road. A very special piece of equipment has been delivered to the Cambridgeshire Community Services NHS Trust’s Children’s Unit based at Hinchingbrooke Hospital. The mini, mobile 3D Interactive Pain and Anxiety unit, a world first, was designed to fit into a suitcase by Amazing Interactives Ltd, a company that specialises in the development of interactive 3D content and hardware solutions. The unit is designed to distract young patients during clinical treatments. Anne-Marie Hamilton, Chairman of the ‘dreamdrops’ fundraising committee said: “I approached Amazing Interactives to see if it was possible for them to design a mobile unit for use in the local community. 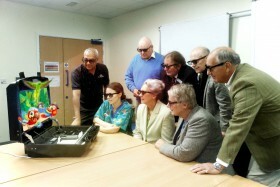 “This project has taken 18 months to come to fruition, with a lot of time and effort going into the whole project not only by the NHS and Amazing Interactives, but also with help and guidance from Tony Moss, a computer expert from the Rotary Club of Kimbolton Castle, as well as other members of the club. Mags Hirst, play specialist, Cambridgeshire Community Services NHS Trust, who piloted various prototypes of the machine out in the community before the final design was agreed, said: “We requested a truly mobile unit which could be taken out in a car to a patient’s home. Geoffrey Lloyd from the Rotary Club of Kimbolton Castle said: “We were delighted to support the ‘dreamdrops’ charity and to be able to raise funds for the new unit. (3D Photograph provided: Pravin Jethwa, Sales Director, Amazing Interactives; Liz Sloman, play specialist, Cambridgeshire Community Services NHS Trust, Members of the Rotary Club of Kimbolton Castle and Anne-Marie Hamilton, Chairman of dreamdrops). Jaeden had a bone marrow transplant two years ago but has been a resident on the ward more recently after he picked up a number of infections and having nutritional problems. It means the youngster has not grown at the same rate as other children his age. Jaeden’s mum, Stef Cockerham, 27, says the new equipment has helped her son while he has been undergoing treatment. 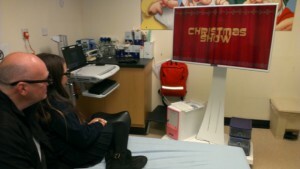 She added: “He is able to play games on it and, if we put the glasses on, we can see everything in 3D which proves a good distraction when he is getting treated.” The Vpod has a selection of programs including pirates and princesses’ games. 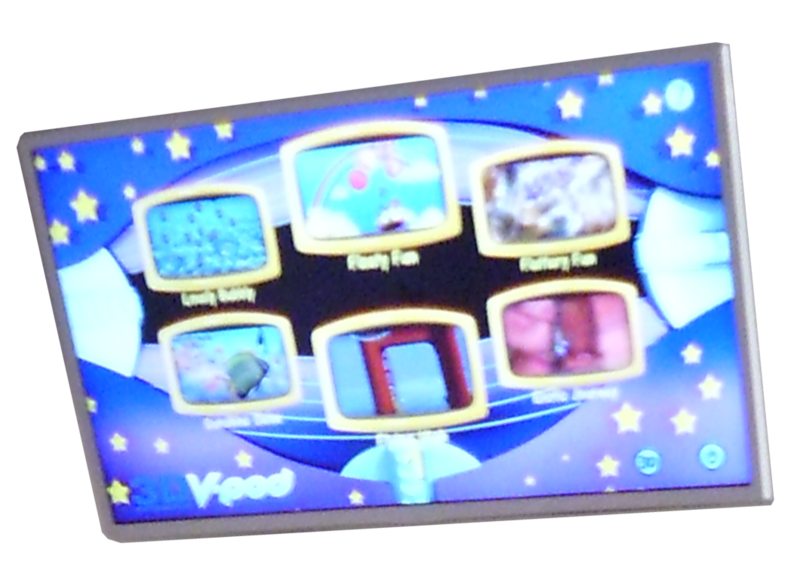 Tracey Gothard, play specialist from Ward 1A, said: “I have wanted a 3D Vpod for a long time now, as I have seen how great they are at distracting the children from what is happening to them in the treatment room. “We have the largest ward here in the GNCH with 21 beds, and most children usually staying in for sometimes six months, nine months or even a year. You can imagine how unhappy they are about having the bloods taken daily, or having long or central lines inserted. “We do have many techniques for distracting the children but this 3D technology is unlike any other piece of equipment, we’ve used. The following is just one of the children who made all the staff that day have a really good feeling. 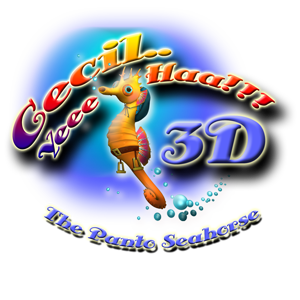 I had a wonderful session with a child who needed Bloods taken who had severe learning difficulties, he had his cream on without any problem, but during the waiting time he became quite anxious, so as soon as the treatment room was free and about quarter of an hour before his time I put the " 3 D V-Pod " on with the colourful fish so he could see movement, but not sure how he would react.
" What an amazing result, he stood in front of the screen, with his arms out trying to catch the fish, saying over & over " fish - fish." 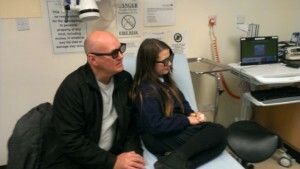 He even looked at the back of the 3 D V-Pod to see if they were there (Mum said he has a fish tank in his room at home) He was so relaxed he had his bloods taken and Parents were delighted that there wasn't any problems like last time. All the staff said it was so fantastic to see it had made such a difference to the session. All out audit sessions with this amazing screen have been very positive for children, parents, nurses, support workers, doctors and of course I. We used less gas and air than expected during a painful treatment - I was very impressed. We have used it for everything from cannulation, wound drain removal, dressing changes, general distraction for anxious kids seems to work really well all round. It has exceptional results when used in conjunction with Entonox for bigger more painful procedures. It's lovely seeing the children's reactions during the trial! The 3D V-pod Distraction tool is a sensory experiance which allows our pediatric patients to mentally escape during a stressful procedure. 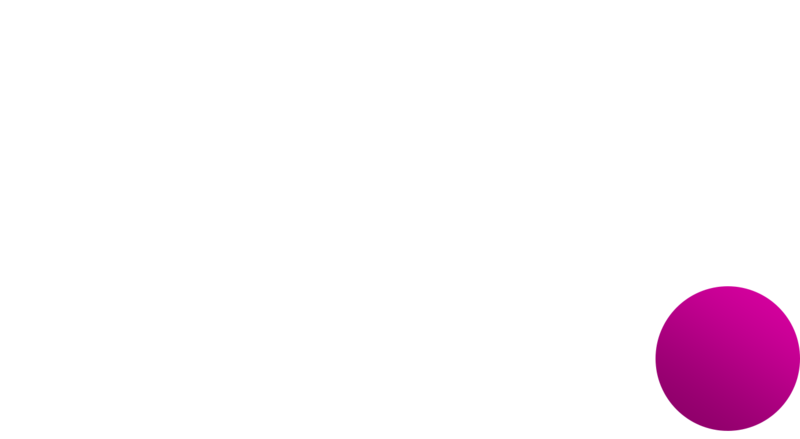 It provides many avenues of therapeutic components to encourage coping techniques for the patient, and it reduces the intensity of the overall medical experience. Rita Cammidge, Hospital Play Specialist. 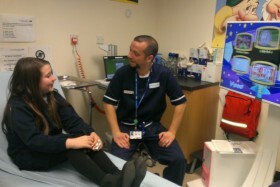 With over 18 years experience in Hospital Play at Mid Yorkshire Trust Hospital.